The Highland Humane Society Pet of the Week is Tink, an is approximately 3-year-old spayed, female mixed breed dog. She is a small dog that weighs about 20 pounds. Although she came to the shelter as a stray, it is obvious that she has been somebody’s baby at one time. She is a real love bug and wants to be on your lap and right beside you. She is friendly with other dogs, but the society said it doesn’t know about cats. Tink walks well on a leash and loves to play. The Humane Society Animal Shelter still have plenty of kittens available for adoption. If you could give Tink or any of the other cats or dogs at the shelter a good home, visit the animal shelter at 9331 SR 124, P.O. Box 471, Hillsboro, or call 937-393-2110. The shelter is open Tuesday through Saturday from noon to 5 p.m. It is closed Sunday and Monday. Because it is kitten season, the shelter is in need of donations of cat litter, Purina Kitten Chow and any canned cat food. Drop off donations any time the shelter is open. 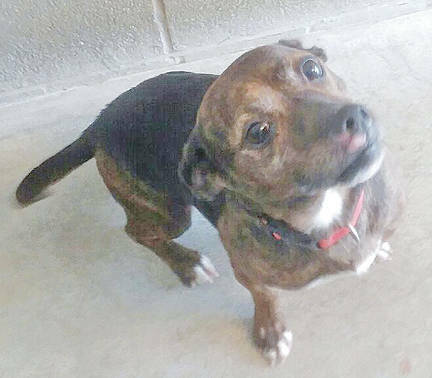 https://www.timesgazette.com/wp-content/uploads/sites/33/2018/07/web1_Pet-of-the-week-pic.jpgThe Highland Humane Society Pet of the Week is Tink, an is approximately 3-year-old spayed, female mixed breed dog. She is a small dog that weighs about 20 pounds. Although she came to the shelter as a stray, it is obvious that she has been somebody’s baby at one time. She is a real love bug and wants to be on your lap and right beside you. She is friendly with other dogs, but the society said it doesn’t know about cats. Tink walks well on a leash and loves to play. The Humane Society Animal Shelter still have plenty of kittens available for adoption. If you could give Tink or any of the other cats or dogs at the shelter a good home, visit the animal shelter at 9331 SR 124, P.O. Box 471, Hillsboro, or call 937-393-2110. The shelter is open Tuesday through Saturday from noon to 5 p.m. It is closed Sunday and Monday. Because it is kitten season, the shelter is in need of donations of cat litter, Purina Kitten Chow and any canned cat food. Drop off donations any time the shelter is open.